Felicia drakensbergensis is a domed shaped and grey leaved shrub. 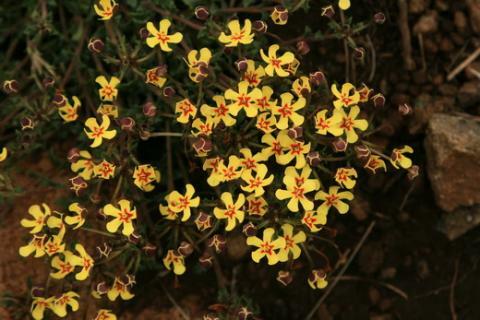 It grows to a height of 0.1-0.3meters, same behaviour with any other high altitude shrub species. Blue flowers about 5mm in diameter, 8-13 ray florets. 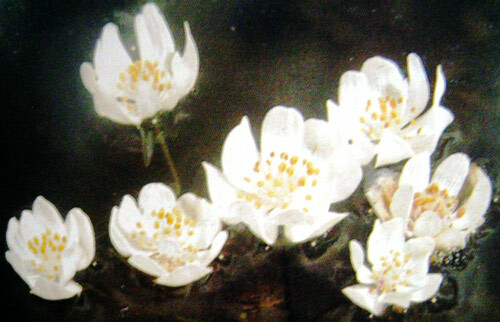 Full bloom December – February. When in full flower, it completely covers the entire plant with flowers leaving the leaves and stems hidden from view. 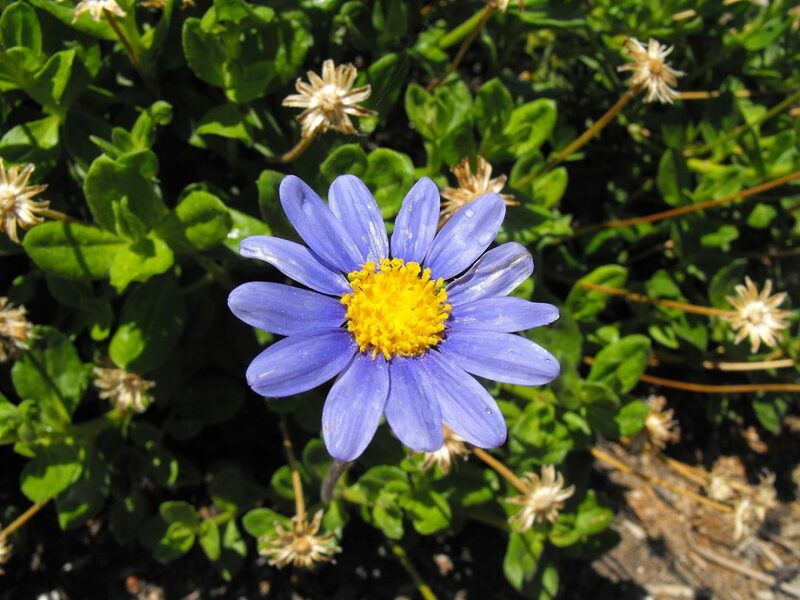 DID YOU KNOW DAISY FAMILY IS THE BIGGEST PLANT FAMILY IN LESOTHO? Makes a very attractive garden shrub with its perfect blue blooms, which can be grown from both seeds (spring) and cuttings (summer). Needs well-drained, loamy soil and a sunny position. Plant Felicia drakensbergensis in the rock garden. Suitable for a summer rainfall, water-wise garden. It can also be used as an attractive garden plant or cut flower plant. 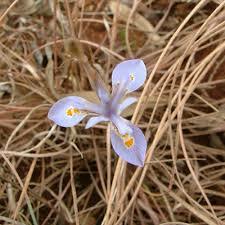 Grows in scrub and grassland usually on rocky or stony mountain slopes, and often in the boulder-bed scrub. Also seen at roadsides. It occurs naturally at an altitude of about: 2800-3400 msl. This species grows wild in the Northern region of Lesotho it can be easily seen from road side on the Northern road from Mahlasela-pass up to Lets’eng la terae. Bongani is hugely involved with conservation initiatives all around Lesotho. 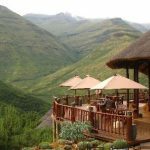 Bongani offers wild flower tours around Lesotho and is also our consultant for the Maliba Mountain Mountain Lodge botanical garden.